I’ve been working on this post for a while, because I’m trying not to offend anyone. I have way too much stuff myself, so I’m not immune to my own criticism. That being said, I’m having a bit of a challenge with too much stuff. A little more than a week ago, I helped J pack up the boating and summer stuff at his [extended] family’s cabin and was amazed at all the stuff. Not only is there a cabin full of stuff, there’s a small bunkhouse of stuff, a small shed of stuff, and a garage of stuff. The garage has lots of stuff, including some fishing poles that J didn’t even know about. And a flag pole that apparently got lost at one point but never even left the garage. The Ford Flex barely fit in the two-car garage for all the stuff. I’m not judging, it’s just the example that made me think to write about this. 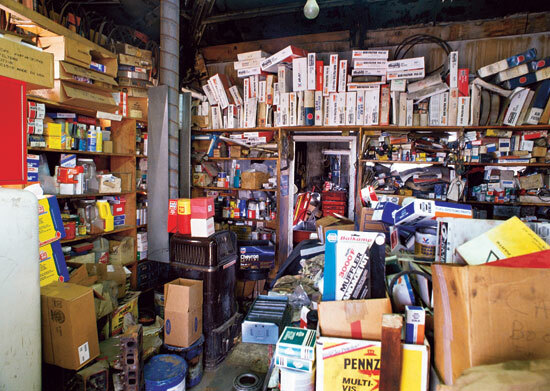 I already have a basement of stuff, a garage of stuff and a shed of stuff. And much of it never gets used. Much of it is just waiting for me to decide that it’s actually garbage. The more I think about all of it, the more I think of one more thing I need. Often enough, it’s the right thing that will let me get rid of all the other wrong things, but then I need to get rid of the wrong things and that too often means the garbage. 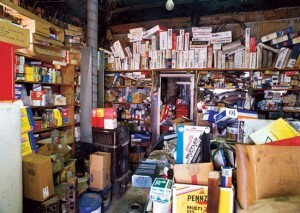 And sometimes, it’s one more thing that I think will help me organize all the things, but becomes just one more thing. I leave you with this bit from George Carlin talking about stuff. This entry was posted in Opinion, People and tagged consumerism, consumption.